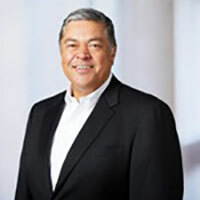 Ed Loya serves as Senior Vice President of Human Resources for Dell’s Corporate Services functions. In this role, he is responsible for the daily management of Global HR programs and processes. Prior to this role, Ed held various HR leadership roles in support of Commercial Sales, Dell International Services, Americas Contact Centers, Home and Small Business, Product Group and Dell Americas Operations. Ed is the Executive Sponsor for Latino Connections and current board member of the Black ERG – Dell employee resource groups aimed at supporting the recruitment and retention of Latinos and Blacks at Dell – Ed is regarded as a leader on the topic of diversity within the company. Today, Ed is a member of the Congressional Hispanic Caucus Institute Board of Directors. He chairs the Human Resources Committee and sits on the Finance committee to lend his extensive corporate experience to advance the mission of the Institute. The Congressional Hispanic Caucus Institute (CHCI) is a premier Hispanic nonprofit and nonpartisan 501(c)(3) leadership development organization in the country firmly rooted in the same three mission cornerstones laid by our founders: Educate. Empower. Connect. Before joining Dell in 1992, Ed worked for The University of Texas at Austin and INROADS, Inc. and has more than 25 years of Human Resources management experience. Ed graduated from The University of Texas at Austin with a Bachelor of Science degree in Organizational Communications.